Will TriRock Work in Clearwater? 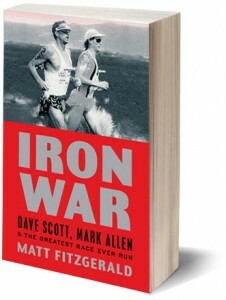 It’s been quite a start to 2012 for Competitor Group and its endurance sports properties in Florida. Two weeks ago, the San Diego-based publisher and event promoter pulled its Muddy Buddy series out of Florida, part of a downsizing to just eight events for the bike-and-run event for 2012. Competitor had considered moving its popular Orlando Muddy Buddy race to Pasco County after Disney booted outside endurance sports promoters from the Magic Cashbox, but decided to go with more proven markets, at least for 2012. This week, runners participating in Competitor’s inaugural Rock ‘n’ Roll Half Marathon in St. Petersburg on Sunday realized they must pay $15 to park at Tropicana Field to pick up their race packets and another $15 on race day unless they make less convenient arrangements. That’s part of a complicated relationship between Competitor, the City of St. Pete, and the Tampa Bay Rays, but mostly a product of the cushy deal St. Pete Mayor Bill Foster gave Competitor. But when it comes to sucking up to endurance sports conglomerates and giving away the keys to the city, nobody does it better than Clearwater Mayor Frank Hibbard, who after getting little in return for the city’s six-year investment with the World Triathlon Corporation to put on five Ironman 70.3 races and cancel a 5150 event, signed on this week to host a November event in Competitor’s TriRock triathlon series. The inaugural TriRock Clearwater will take place November 11, the same weekend Ironman canceled its inaugural 5150 event last year due to low registration and the same weekend Ironman staged its year-end 70.3 championship from 2006-2010. That event, which attracted few spectators and little media coverage, generated headlines mostly for tying up 56 miles of traffic in Florida’s most densely populated county. The Tampa-based World Triathlon Corp. relocated the 70.3 event to Nevada for 2011 and thanked Clearwater on the way out by not printing “Clearwater” on a single piece of merchandise for the 2010 event. In October, WTC canceled its inaugural 5150 season-ending event in Clearwater just three weeks before the race when it could not reach its modest goal of 800 participants. Race director Philip LaHaye wondered at the time if Clearwater could “support a bigger production, $150-per-person race” at the end of the season. Competitor’s entry fees for TriRock, which features sprint-distance and Olympic-length triathlons, rank among the highest in the industry. The sprint distance costs $100 through Sept. 10 and escalates to $150. The Olympic distance costs between $140 and $180 depending on when the athlete registers. This does not include the RaceIt.com online registration fee, which also goes to Competitor, which purchased the Virginia-based online registration company in August. No word on parking arrangements and fees but they were not an issue during Ironman’s 70.3 events out of Clearwater Beach, which featured roughly 2,000 triathletes per race. The TriRock series debuted last year with races in Annapolis, Md., Seattle, San Diego, and Gettysburg, Pa. This year’s schedule starts in New York on May 5 and includes races in Annapolis, Seattle, Austin, and San Diego. Competitor expects 1,000 athletes for the Clearwater event, which starts with a swim in the water off Clearwater Beach. Such modest expectations make sense for a city that, for whatever reason, has struggled to build traction around the booming sport. In addition to Ironman’s mixed results, the Sand Key Triathlon initially folded last year after a seven-year run. A new promoter took over the event, postponed it from September to Feb. 25 and this week announced its cancellation. The Morton Plant Mease Triathlon, a sprint-distance event held like the Sand Key Triathlon at Sand Key Park just south of Clearwater Beach, debuted in 2006 and is scheduled for June 24. ST. PETERSBURG – Charlie Futrell took a little longer to finish this morning’s Chilly Willy Duathlon at Fort DeSoto Park but perhaps that’s understandable. After all, it’s a little more challenging to run 3.1 miles, bike 10, and run another 3.1 when you’re going to be 92 years old in August. 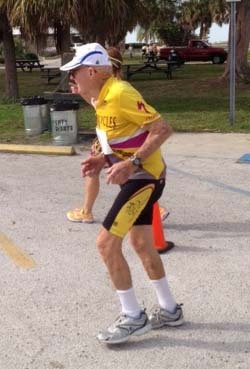 Futrell, who also competes in triathlon, is believed to be the oldest person ever to compete a multisport event, a record he adds to each time he races. Futrell, who lives near Orlando, is nine months older than John Taylor, a longtime rival who lives in Atlanta. “Longtime” is a relative term since Futrell was in his late 50s when triathlon exploded into the sports world with Ironman in the late 1970s. Futrell raced his first triathlon at 65 and in 1992, at the age of 72, made his Ironman Kona debut, the first of six consecutive appearances. He posted his best time (15:35:23) that year, finishing third in his age group to two guys who had won gold medals in swimming at the 1936 Olympics. He would have finished fourth were it not for a push at the end when he caught Norton Davey, who at 74 had been featured by media outlets for years as one of Ironman’s oldest competitors. (Davey died in 2003). Futrell was a star baseball player at East Carolina Teachers College (now East Carolina University) from 1938-41 and is in the school’s Athletics Hall of Fame. During World War II, he served as a U.S. Air Force physical training instructor. After a brief stint playing minor league baseball, he began a long career in Maryland as a high school teacher who also coached baseball, basketball, football, and soccer. Among his students: a young Sylvester Stallone. When it comes to longevity, Futrell has followed the proper game plan – and not just when it comes to physical activity. He’s remained active socially and in his community and was married for 62 years before his wife died from cancer three years ago. Futrell maintains a constant weight of 152 despite only recently eliminating his evening ice cream ritual. He no longer drinks coffee and follows a healthy diet heavy on fruits. For years he’s gone to bed at 9:30 and risen at 7. 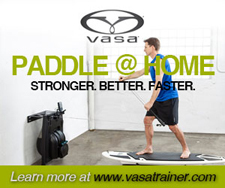 He recently added regular 45-minute spin classes to his routines, which include two to three hours of daily training. 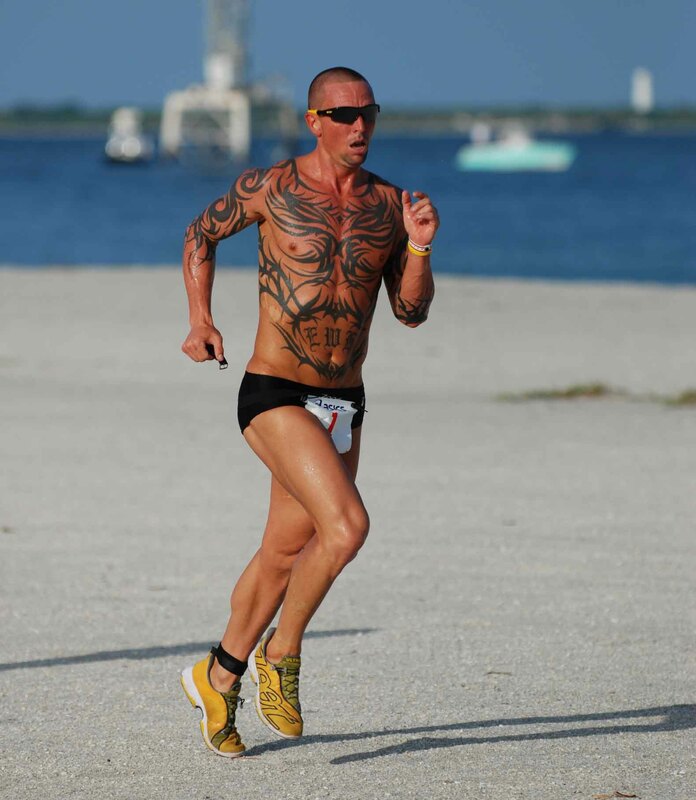 He averages one triathlon or duathlon a month during the season and runs 5Ks during the Florida winters. Futrell has a rotator cuff injury that forces him at times to flip over on his back during the swim and perform a modified backstroke during triathlons. 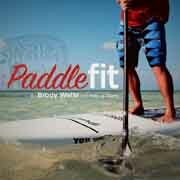 Since he relies on prescription eyeglasses to see, he usually has a friend in a kayak guide him along the swim. Today a friend accompanied him throughout the Chilly Willy Duathlon. As for regrets, Futrell says he wishes he had known 60 years ago the importance of taking care of his skin. He has been treated for skin cancer and sees a dermatologist regularly. Other than that, he’s a model of good health. Futrell is such a popular figure in Florida triathlon circles that a race director of youth triathlons in the Tampa Bay area invites him to attend events. Futrell enjoys talking to groups, especially youngsters who inevitably ask how he can swim in Florida lakes when alligators could be present. He smiles and dodges the question, “They’ll never bother you unless you’re hungry,” he says. The decision by the World Triathlon Corporation on Tuesday to pull the plug on its season-finale 5150 triathlon series event in Clearwater is the latest move that indicates the world of Florida endurance sports might not be recession proof after all. The Champions Mud Bash canceled its Nov. 5 event in Tampa. Like the 5150, low registration was the reason. Muddy Buddy opted not to have a year-end championship in Punta Gorda. Several other events have been quietly canceled or indefinitely postponed. WTC, the parent company of Ironman and creator of the 5150 series, pulled the plug on Primal Challenge, which was to have been a new obstacle mud run series with a November event in Lake Wales. Many other events have experienced declining numbers after years of unbridled growth. We’ve marveled at how recession proof Florida has been when it comes to endurance sports. After all, the Sunshine State has suffered more than most of the country in terms of the real estate crash and unemployment, a figure that probably does not fully reflect the job troubles in a state where many people are independent contractors and/or self-employed and thus not counted on the unemployment rolls. Since the economy crashed in the Fall of 2008, Florida endurance sports actually have taken off. The state already lead the nation in the number of triathlon and running events and now can claim top status in obstacle mud runs and stand-up paddleboard events. The theory is that people will cut back on their discretionary spending when it comes to entertainment, eating out, and home improvement, but will be less likely to slash on participatory events that give them a feeling of accomplishment, which is perhaps more important during stressful economic times. Not only that, many people have more time to train. We’re of the belief that it’s not the recession but a flooded market for races. Two years ago, Muddy Buddy had a virtual monopoly on obstacle mud runs in Florida. This year, there will be at least 30 such races. Dozens of triathlons and running events of all distances have been added to the calendar since 2009, many with entry fees of $100 or more. So it figures that there will be a shakeout and, perhaps not surprisingly, many of the initial casualties have been newcomers that have not gained sufficient traction. Philip LaHaye, WTC’s director of operations, said Tuesday that Clearwater probably cannot sustain a year-end event at $150-a-head like the proposed 5150 finale. LaHaye, the longtime race director for the St. Anthony’s Triathlon, has seen that event’s numbers plunge in recent years, no doubt fueled by increased competition by other races at the Olympic-distance level and the rapid increase in St. Anthony’s entry fees. It’s not just triathlon. We’ve wondered how long athletes will continue to commit to obstacle mud runs where they must pay $75 entry fees, $10 parking, and receive little more than a bottle of water and perhaps one free beer at the finish line for events that take less than an hour to finish. And at what point will runners balk at paying up to $100 for a half-marathon? Unlike triathlon or obstacle mud runs, it’s easy to go out and run a half-marathon without entering a race. Then there’s our pet peeve: lousy T-shirts. Athletes, especially women, do not want to wear something with sponsor logos on the back, especially when they’ve paid $75 or more to enter. If race directors believe they must include logos on the back to provide sufficient value to sponsors, well, they’re probably not providing sufficient value to sponsors. Like any other product, the winners in 2012 and beyond in endurance sports organizers will be the ones who provide the best value for the entry fee. For Florida endurance athletes, that’s a positive development. 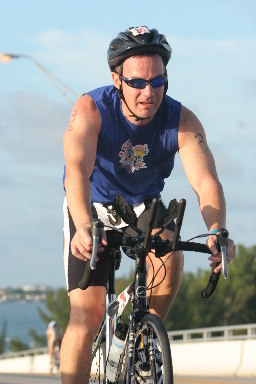 Eric Hall hammers on the bike at the Top Gun Triathlon at Fort DeSoto Park in July. TAMPA – Spend a few mornings training here at the University of Tampa under Eric Hall and you get an idea why the school’s strength and conditioning coach is one of the top sprint triathletes in Florida. 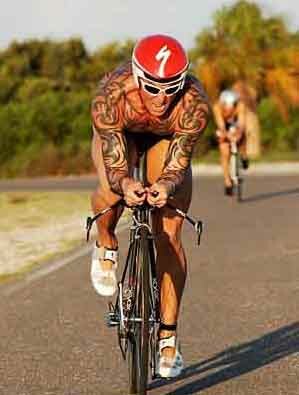 Hall, 32, doesn’t look like your typical triathlete and not just because of an intricate tribal tattoo that covers his arms, back, and torso and makes him easy to spot in crowded transition areas. At 5-foot-10 and nearly 190 pounds, he’s technically a borderline Clydesdale, though he has the lean, muscular physique of a sprinter. That’s because Hall, unlike most endurance athletes, has embraced strength training as a key component of his endurance sports arsenal. It’s why he can kick off his Monday mornings with a 90-minute workout with UT’s baseball or softball teams, two groups of anaerobic athletes undergoing offseason programs, and still derive a huge benefit for his triathlon training. He’ll lead the teams through grueling sessions that can include deadlifts, lunges, RDLs, weighted pull-ups, resisted runs, and any of dozens of other movements that usually conclude with a series of incline sprints in one of UT’s parking garages. It’s never the same workout twice; Hall typically spends about an hour on the following day’s workout, mixing and matching movements before posting a photo of his handwritten assignment on his Facebook page for those who want added inspiration to get to bed early. A Dade City native who spent four years in the Army before being spotted at local running races and recruited to run at UT, Hall graduated from the Division II downtown Tampa school and in 2005 became the Spartans strength and conditioning coach, one of few in the Sunshine State Conference. 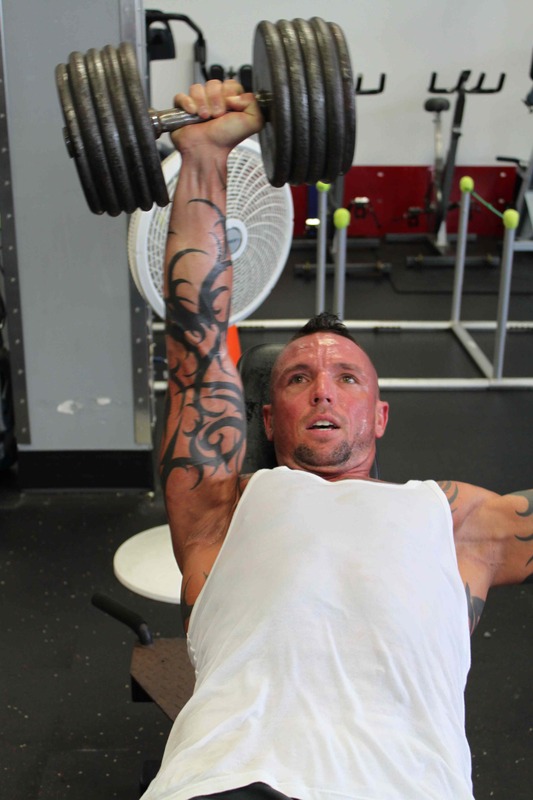 He’s trained four national championship teams – volleyball, women’s soccer, and baseball (twice) – and doesn’t just coach the athletes; he works out alongside them, albeit with far heavier weights. Such work capacity sessions might seem like overkill for endurance athletes already putting in long weekly hours, though a few of Hall’s triathlon colleagues jump in on Mondays, recognizing the benefits of increasing power output, maximizing movement efficiency, and enabling them to cut back on long, slow, distance training. Others show up on Wednesdays, when Hall leaves the weights untouched, preferring pre-hab work on the shoulders, ankles, and hips with resistance bands. Endurance athletes are just as notorious for ignoring pre-hab as they are strength training, preferring to stay laser-focused on logging long hours and mileage. That’s counterproductive and likely to lead to injury, says Hall, who logs just 25 miles running each week and rarely swims at all outside of the 12 to 15 triathlons – nearly all sprints – he does each year. Still, he’s a contender in every race he enters, including 5Ks, where he’ll typically log a time under 16:30. We caught up with Hall recently after one of his typical 90-minute Monday sessions. Endurance Sports Florida: Why is it endurance athletes are the only athletes who gauge their success by the ability to go longer as opposed to faster? Hall: It’s true, but I don’t think that way as an endurance athlete. When people tell me they’re going to do a marathon, I think, “I could do a marathon at your pace, but could you run a sub five-minute mile?” The reason I can do that kind of speed is because of my strength training. The faster you run, the more impact your body’s absorbing. There’s a reason sprinters look the way they do. I have coupled my strength training with endurance, which is extremely important. But it’s not like I just do weight lifting. I do them in correlation with each other. Over the years I’ve learned how to put them both together to where I’m not world caliber but I can still compete at a pretty high level. ESF: Is that a tough sell to endurance athletes? Hall: It can be. They automatically tune out because once I say “strength,” they think that’s going to make them slower. It takes a while for an athlete to buy in but I can justify it because I use it myself. I understand what power development and strength training is going to do for the endurance athlete. It makes them less injury prone, more structurally sound and makes their running economy more efficient. That’s why I don’t have to go out and log 60 miles a week (running) to have that aerobic capacity because I’m incorporating my strength training. I’m a huge believer in that. Resisted runs prepare athletes for the end-of-race sprint. ESF: What’s a typical running week like for you? Hall: No more than 25 (miles) a week and I can get away with that because I have the running background. You’re also talking about a pace that’s threshold. There’s never a long, slow day for me. But I’m not training for a half marathon or marathon. My mileage would change but not my strength training. That’s what makes me structurally sound and more efficient to where I can handle more stress and endurance on the road. Running is constant impact. If I can make my body structurally sounder in my joints and ligaments that’s going to allow me to be more efficient for a longer period of time on that end run. I have no doubt I could run a half marathon or marathon right now and still compete at a high level with my minimal training. 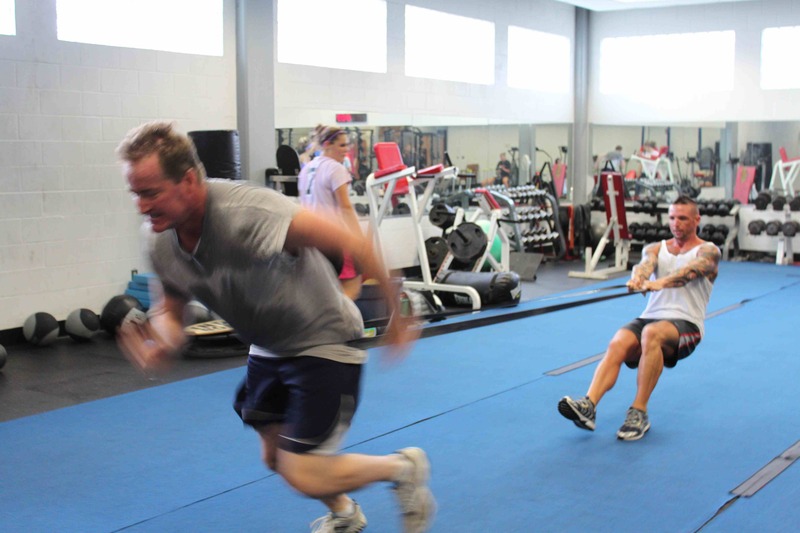 ESF: We did some resisted runs this morning, running hard as a partner provided resistance with a band. How will that translate during a race? Hall: The idea is to teach the body to turn over and have as many ground contacts as possible. You’re fooling your body for a duration of 20-25 seconds over a 20-yard mat. It simulates the intensity of a 200-meter all-out sprint. For that 15 yards you should be trashed as if it were that sprint. It teaches the body that duration, the oxygen debt. By the time you get three-quarters of the way done, you’re laboring and the speed diminishes. That’s where it’s most important and I look for the ability to maintain that speed. Now think of how a race ends up – in a sprint. In triathlon, the run is a suffer fest. It’s not about who is the fastest runner. I beat the fastest runners out there all the time because I can be more efficient off the bike to recover, and run. I can get on a bike, which is a machine, and produce a lot of power, which leaves me more efficient for the run. When it comes to running, if your body is not exposed to that kind of stimulus, that kind of oxygen debt, and then you go out and try to run at race pace, what happens? It shuts down. Oxygen debt, you’re done. I always want to train certain days of the week 15 percent faster than race pace. So I’ll run one mile – just one mile – off of my bike rides at 30 percent faster than race pace because I want my body exposed to that, even if it’s for one mile. Then I can carry that. It’s no longer foreign to my body when I get off the bike, so now I can go at my usual race pace and it’s not traumatic. The reason people suffer off the bike is that they never run faster than race pace. That’s why track workouts are so important. You’re running faster than race pace. I want to put myself in that position all the time so when it comes to a race, I’m already exposed to it. I can get off that bike and run at a good clip because I’m used to running at that faster pace. ESF: So what’s a typical brick workout like for you? Hall: Most of the time it’s 16 miles and no more than three miles off the bike. Last Saturday I ran just one mile off the bike but it was a 5:18. It’s only a mile, but now I know when I’m in a race situation that 5:30 won’t seem that bad because I’ve exposed my body to the stimulus. Everything I do, and what I encourage others to do, is to always think in terms of simulating race time situations. Dianne Villano, dressed in her normal race gear, finishes the run during the Top Gun Triathlon. 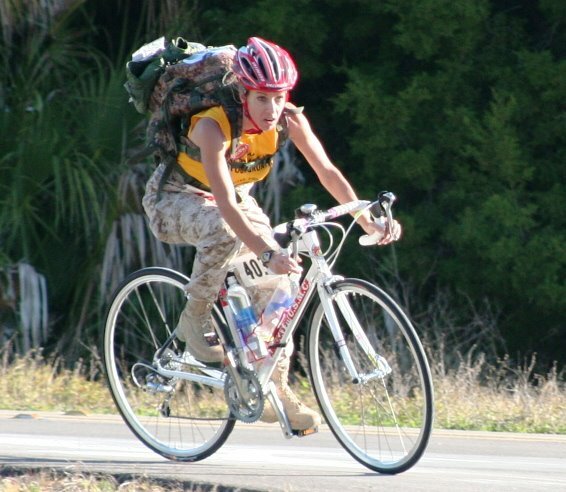 Dianne Villano will mark the 10th anniversary of the Sept. 11 terrorist attacks this weekend by competing in the Tarpon Springs Triathlon in her usual race outfit: combat fatigues, boots, and a Kevlar helmet. She’ll think of the fiancé she lost that day because he happened to be on a business trip to New York and eating breakfast at the Windows on the World restaurant in the World Trade Center. But mostly she’ll think of those serving in Afghanistan and Iraq who have inspired her ongoing endurance sports tribute. Villano, 43, had never run more than mile when she decided to do the Top Gun sprint triathlon in St. Petersburg in 2008, just six weeks before the race. That’s a tall order for anyone, let alone someone who intended to compete on the bike and run in full combat gear, which adds 20 pounds to her 5-foot-4, 110-pound frame. Like many Americans, Villano felt distanced from the ongoing wars in Afghanistan and Iraq, even after losing a fiance. In 2005, she stumbled upon a Web site where U.S. Marines wrote about their experiences in the war and how simple things like a fresh pair of socks or bag of candy sent from home mean a lot. Soon Villano was communicating with Marines and sending care packages. 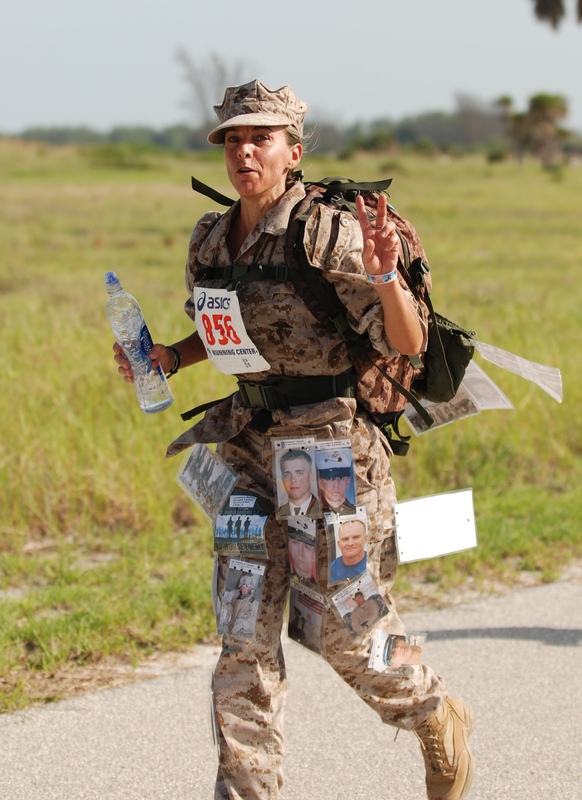 These days, she spends 30 hours a week running Support Our Marines Inc., not counting the 20-plus races she participates in each year to draw awareness to their efforts. 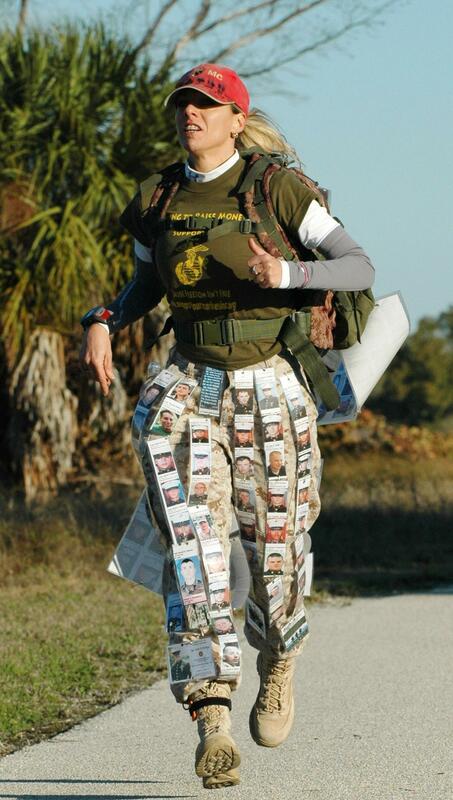 Villano has photos of 214 fallen soldiers on her race attire. To date, the organization has sent 5,321 packages to U.S. soldiers. We spoke to Villano about her journey and lining up for her 60th race in honor of the troops this weekend. 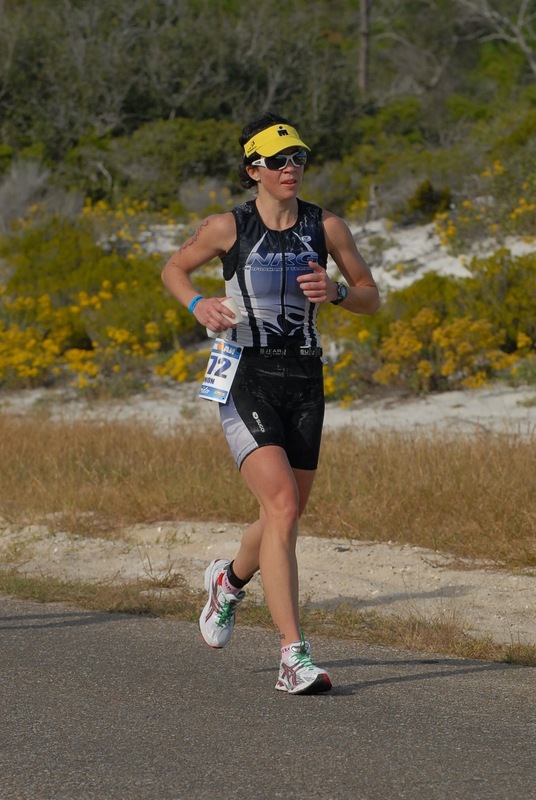 EnduranceSportsFlorida: How did this begin? Villano: I had lost my fiancé on 9/11 and had always supported the troops but it wasn’t my reality. I didn’t know anyone active duty. The war was an abstract concept. Then I found a Web site where Marines could post how they were living in those conditions. Who knew that a pair of socks, a bag of Skittles or simply a letter could make such a difference? I began sending to certain units, certain individuals and at one point I read an email saying a corporal had just died and the last act of kindness he received was something I had sent. He still had a picture of me with some Cub Scouts holding the U.S. flag. I had been sending him boxes of Fruit Loops with little messages and they found the empty boxes and notes when he died. I realized that you never know when an act of kindness you provide could be the last for someone. I had just purchased a new Audi A4 as a reward to myself for 15 years of hard work. I took it back and now I have a 1996 VW Jetta with 253,000 miles. I figured I can always make money but I can’t always make this kind of impact. We sometimes joke that my new Audi is in the Middle East. ESF: How did this translate into running races in gear? Villano: I got a call from a Marine three days after he lost a foot in Afghanistan. His first words were “Thank you for the boxes while we were in country.” He stressed that he was planning to go back in a support capacity to help his brothers as soon as he got his prosthetic. That was the first time I had spoken to anyone we had sent packages to and I was humbled and totally in awe. I got off the phone and wondered how I could possibly recognize that kind of heroism and character. We had a fireman here in Clearwater who did marathons to raise money for cancer research. I figured I could do a triathlon in gear. ESF: How hard was that? Villano will race for the 60th time Saturday to support U.S. troops. Villano: I bought a bike, trained, got in a pool for the first time in 25 years and learned to run more than a mile. My boyfriend had been doing triathlons for three years but I had never even gotten up to watch him. I sent pictures to the Marines and the response I got was overwhelming. They couldn’t believe I would do that to honor them. Then I started clipping photos of fallen Marines to my gear while I raced. I’m up to 214 now. One mother said she saw a picture of me racing with a picture of her son and was deeply touched. It puts things in perspective. Triathletes are pretty myopic. Their biggest problem is that are not enough bananas or ice towels but when they see me in long pants and sleeves and a Kevlar helmet, it makes them stop and think. There are guys in this gear who have to put in water purification tablets just to get a drink of water. ESF: How tough is it to race in the gear? Villano: Your body will acclimate. I do a lot of heat training. I run at noon, bike with long sleeves. I run in boots on the beach. I wear a regular bike helmet to comply with (USA Triathlon) rules and my goal is never to be in the bottom five of my age group. I’m doing this to honor these Marines. I don’t race for time, I race for honor and I race for pride because I’m wearing the same authentic Marine Corps gear that thousands of them die in.